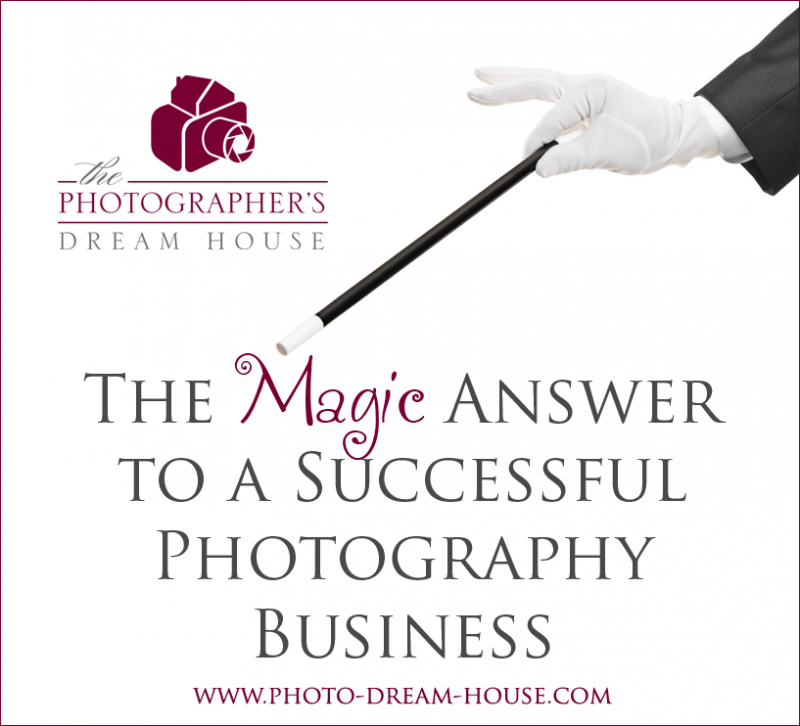 Wouldn’t every photographer like to discover the magic answer to a successful photography business! There are lots of photography learning websites and celebrity photographers who want to make you believe that if you do this one thing, your business will thrive. Whether it is change up your pricing or take a workshop or decide to do in-person sales or change your brand, someone is always trying to sell you the magic answer. I have always been one to take all of this advice with a grain of salt. I know that this advice may not apply to me personally or my business. It is easy to get sucked in, though, since it all comes down to selling themselves and their products. Let’s keep things in perspective. While their products and advice may assist you in running and growing your photography business, it isn’t going to magically make your business successful. Yes, I may be one of those websites trying to sell you stuff to help your business and give you advice along the way, however I take a much more practical approach. You need to do what is best for yourself, your personal situation, and your photography business. Here are my “magic answers” to how to run a successful photography business that should apply to each and every one of you! Nothing can halt the growth and success of your business like owing thousands in sales tax due to an audit or a legal suit from a client. Make sure your business is legal and protected before you try to improve on anything else, in addition paying the necessary income and sales taxes. I have already covered this much of this topic in a previous blog post addressing if you are ready to start a photography business. It covers everything you should have in order to run a true legal and legit photography business. You have to know how much money you are making and how much you are spending on expenses. You should also know how much money you need to be making in order to make the time and effort worth it. There are so many workshops, ebooks, tutorials, and videos out there on how to price your photography business. A few years ago, I purchased a popular one that many of my peers swore by. I was skeptical, but I thought I would give it a shot when I got a good deal on it. After going through it, it occurred to me that a) I already had known much of the information in there already and b) didn’t feel like it applied to my business situation at all. So, it was a complete waste of my time and money. 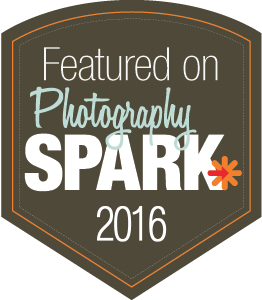 It was part of my motivation to develop a photography pricing product that applies to every portrait and/or wedding photographer. It takes into account how much you personally want to bring in from your business, as well as your expenses, time, and how you have your photography services and products priced. After going through it, the worksheet will tell you exactly where you stand now and what changes in pricing and expenses will do to your bottom line. It is a very practical and logical approach to assessing your prices. You can learn more here about The Photography Pricing Workbooks. And yes, this may look like a sales pitch, but I sincerely believe these will help any photographer accurately price his or her business. This one is tough. It’s easy to say that your ideal client is a mom in her 30’s with young children. However, in order to understand and reach your true ideal client for your business, you need to delve in deeper. What’s her style? Is she trendy and modern, or more casual and laid-back? Where kind of neighborhood does she live in? You get the idea. 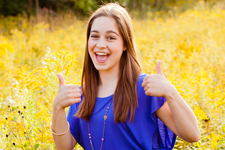 You almost want to paint a picture of your perfect client! Once you have your ideal client narrowed down, you want to figure out how to reach them. Do they go to church regularly? Where would their child attend school? Where does she like to shop? What types of social media outlets do they use, if any?These are the types of places where you will find your ideal client and effectively attract them to your business! If you are not identifying and finding your ideal client, not only will your business not be successful, but you will certainly not be happy while running your photography business. I’ve written a little bit more about this topic here, in how to identify the 5 types of customers. Another tough one, but it definitely works! I cannot tell you how many photographers’ businesses take off simply because they were different from everyone else. Some of these photographers are lucky enough to be extra creative that there is no need to put much work and thought into it. This is who they are already! If you are like me, this is something that will need more thought. Is it your shooting style? Your branding? How you edit your images? A specific product offering? How you light your subjects? What types of subjects do you specialize in? What about themed photo sessions? Find something that will set you apart from the rest of the other photographers in your market, while also being true to who you are. For example, I’m not going to start moving my photography business towards props and staged photo shoots, because that is not who I am as a person or photographer. From the beginning, my focus in my work is on emotion. I want my photos to convey something to the viewer, not something set-up or staged. You need to look within yourself first, and then find what makes you unique from everyone else. Once you identify where you are different, capitalize on it. Promote it. Highlight it. This is your signature that will make you stand out from the crowd. This should go without saying (in fact, I almost didn’t mention it! ), however it does need to be said. You can do all of the above, and it can all be ruined with horrible customer service. Sure you are going to have the occasional difficult customer from time to time, but that does not mean you should handle it unprofessionally. You want to avoid any client, even the unhappy ones, bad-mouthing your business. Treat your customers well with the utmost respect, and you’ll be rewarded with repeat business and referrals. No matter what stage you are in your photography business, it will take work and lots of it. This includes managing your the business, staying on top of the latest technology and trends, getting more photography clients, keeping those photography clients, and networking. It takes work, and anyone who thinks it will be an easy way to make a quick buck is absolutely wrong. When first starting out your photography business, it is a common trend to begin with low prices. These low prices tend to attract lots of clients. More clients = more referrals. More referrals = more clients. More clients = quick burnout rate. When said photographer realizes that he or she wants to do less work for the same amount of money, the prices go up. When the prices go up, the number of clients go down. Take a look at my blog post about raising your photography prices for a more in-depth look at why this is the case. When the clients go down, the referrals go down. 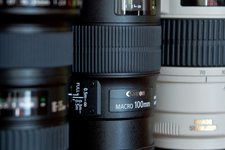 Therefore, said photographer must start working hard to get more photography clients to their business. This means working to improving your SEO, finding new and creative ways to get referrals, and networking. In order to ensure you and your business make it, it will take lots and lots of hard work. Do all of this, and you will have a successful photography business. Now, I say this with the premise that you understand how to use your camera, with the proper composition and lighting techniques. If you are successfully and effectively doing all of the “magic answers” above, then you need to look at the quality of your photography. Maybe get a photo critique or ask your peers how they would rate your work. It could also be how you are editing your photos. Other photography learning websites and celebrity photographers may go more in-depth into these, which is perfect for you if this is where you are lacking! However, simply pricing your photography business a certain way, doing a certain style of photography, or deciding to do in-person sales is not a magic answer to your photography business being successful! You must get legit, understand your finances, know your ideal client, differentiate yourself, respect your clients, and work hard.